Sushis, a big TV to re-watch Gravity in HD and “Jose James”, whispering in my ears through my favorite headphones (QC15), kindly replaced by Bose three years after their purchased (guys… I could French kiss you for that). A great wedding, other sushis with precious friends, an Italian smile and a week and brain out of gravity, far from everything. In 40 hours, I will be reading documents, catching-up with emails and talking with my colleagues, preparing an important month for Afghanistan. As if I had never left, except this quiet music in my mind. I love my life. 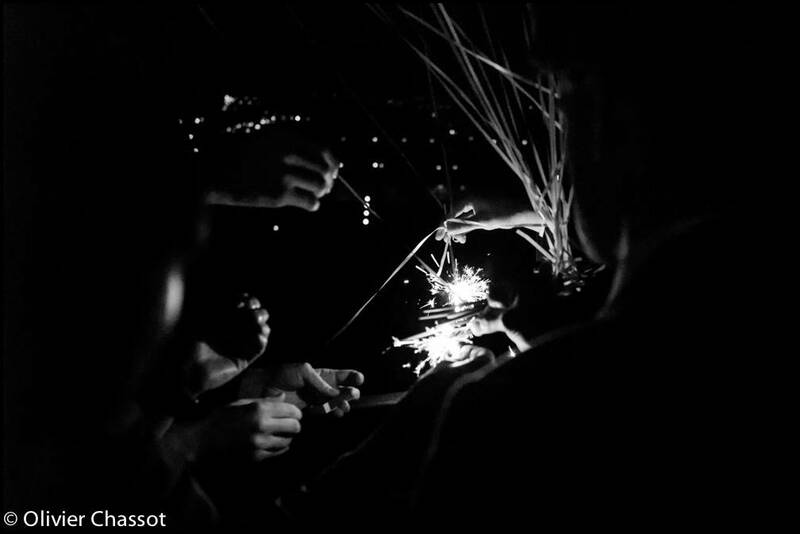 01 March 2014: R&G wedding guests trying to start fireworks, Divonne-les-Bains, France. [Click on the picture to enlarge it].